Toia Francis is a freshman at USM. 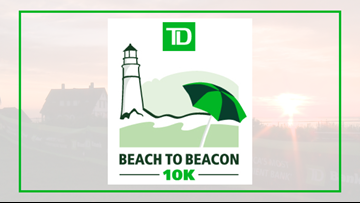 This will be her fourth TD Beach to Beacon 10K, but it's the first time she has ever been the first registrant. She gives all the credit to autofill. 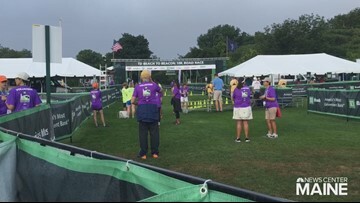 The average registrant completion time was 3 minutes, 25 seconds. 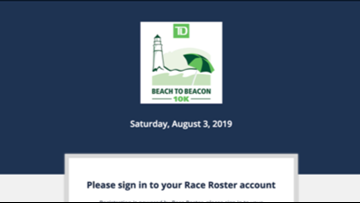 A registration system debuted last year called Race Roster is being used again in 2019. 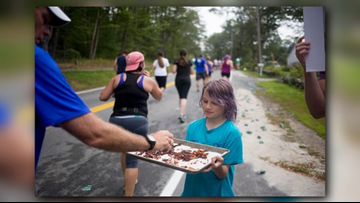 Runners will be prompted to sign into their accounts on registration day. Don't have an account? Create one now. 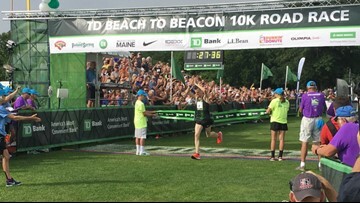 Final results include Maine's Ryan Smith of Farmington and top female finisher from Maine Michelle Lilienthal from Portland. 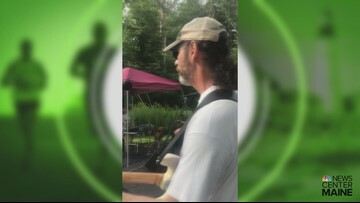 When you're running the TD Beach to Beacon, a little live music might help you along the way. 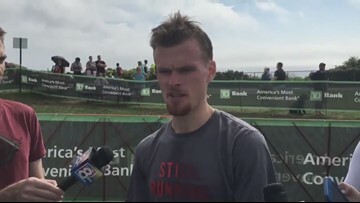 North Yarmouth native and 2016 champ Ben True returns to avenge last year's finish line defeat while Providence-based US 10K record holder Olympian Molly Huddle makes her Beach to Beacon debut. 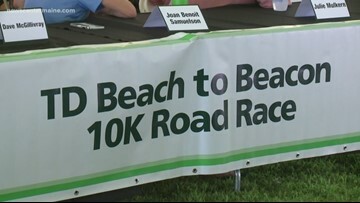 Athletes travel in from all over the country to compete in the Beach to Beacon 10k. That includes the push-rim competitors who stay at the same place, every year. 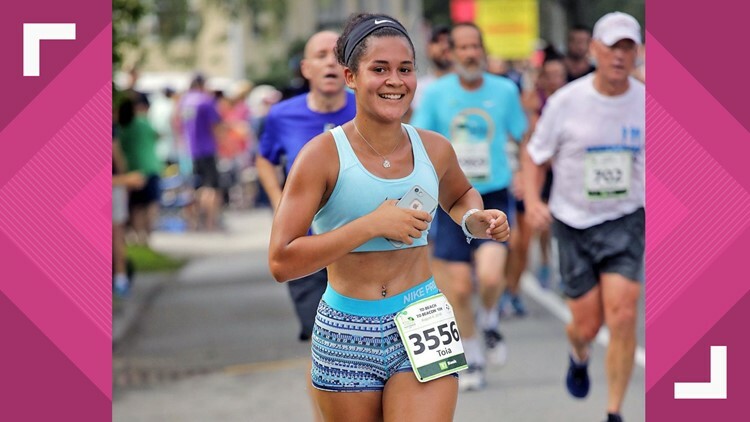 Their stories of why they race are enough to inspire all to push through the finish line. 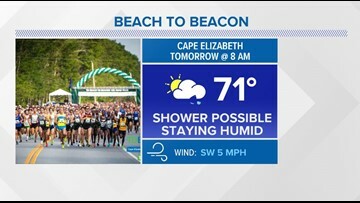 As if the beautiful course for the TD Beach to Beacon 10K wasn't enticing enough for runners, how about.... some bacon? 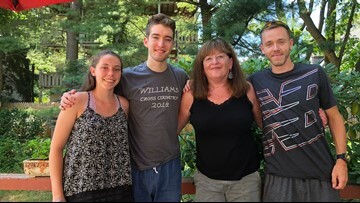 "I usually stay in a hotel before races," said Ross Millington, a British Olympic runner, who is participating in the Beach to Beacon homestay program. "But here you get a real sense of community." 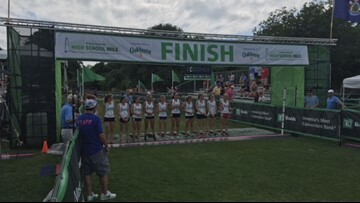 Olympic marathon gold medalist Joan Benoit Samuelson spoke with NEWS CENTER Maine's Jessica Gagne about how runners inspire new runners by sharing their stories. 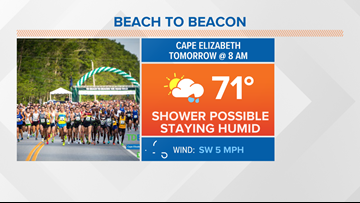 Getting ready for the TD Beach to Beacon, Saturday morning? Well, you may be dodging a few raindrops.